To strike me at my bedside locker. Not today at least, but when? Quickly, I resume my day. Tagged Cormac Looney, Ireland, Poetry, U.S. The words ‘jazz poetry’ are enough to make any sane person reach for their Revolver. The mental image is the old stereotype of a turtlenecked beatnik, rambling at a dozen pals in a basement coffeehouse, as his roommate attempts to accompany him with some beginners’ clarinet. But poetry about jazz is a different proposition, and something that’s likely more palatable. This occurred to me recently when Sidney Bechet’s recording of ‘All Of Me’ shuffled onto my speakers, showcasing the New Orleans native’s soprano sax lines, loud and clear. The same sound prompted the British poet Philip Larkin, a jazz record reviewer in his spare time, to pen an ode to Bechet, and the New Orleans sound and scene that he emerged from. ‘For Sidney Bechet’ is not unlike one of jazzman’s own solos – compact, emotive, perfectly poised. It pays homage to the front (and back) rooms of The Big Easy, and recognizes the voice that Bechet and his contemporaries gave to its community a century ago. What’s more, Larkin also provides the single best description of jazz in words – a sound which falls “like an enormous yes”. Play that thing! So wrote the novelist Wallace Stegner in 1960, in an appeal to a U.S. government official involved in a policy review of America’s ‘Outdoor Recreation Resources’. Stegner’s point seems self-evident 60 years later. In 2017, after hundreds of years of human erosion of natural resources, the wild country in public ownership is clearly worth more than its simple economic value. While this is clear to many – particularly those who’ve visited a national park – the country’s current president may take some convincing. Meanwhile, hope seems thin on the ground these days. But, as Stegner argued, it’s still there – for now. With this in mind we recently travelled from our home in urban north Portland’s to the Mount Hood National Forest, and specifically to the Lolo Pass Trailhead, a waypoint on the Pacific Crest Trail (PCT). From there, my wife and I hiked the PCT for a couple of hours, before turning off on the Timberline Trail, which we cut away from to ascend Bald Mountain. 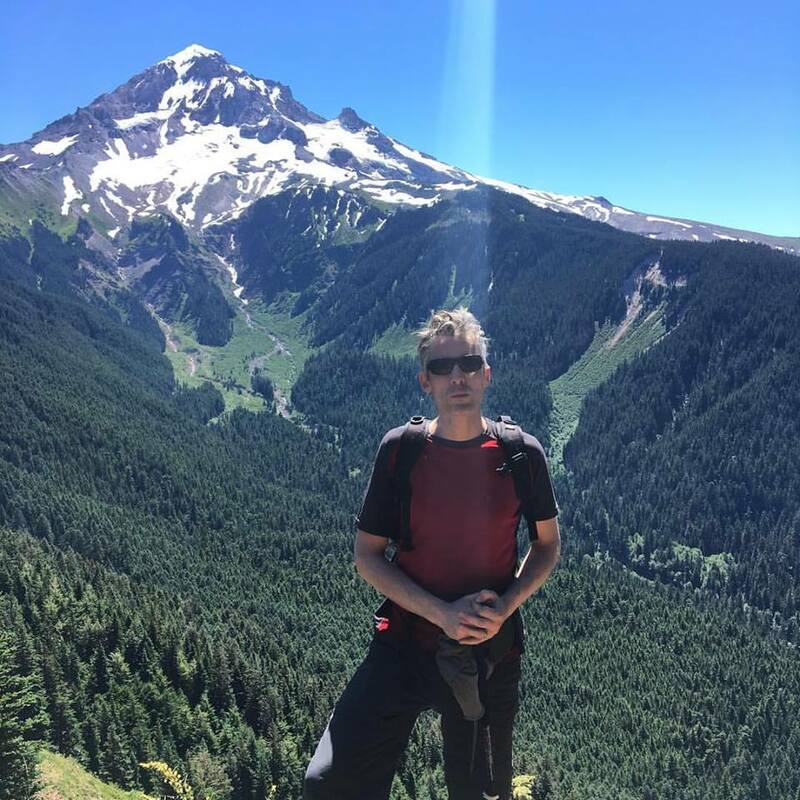 In the course of the hike we met a handful of people, who quickly passed with a nod; at times, we seemed to be the only people standing beneath the gargantuan west face of Mount Hood above us. The higher we hiked, the quieter the undergrowth sounded – even the fauna appeared to clear the way. After months in the cities, and traffic, living with ambient freeway noise outside our home and multiple screens within, the hours also felt like ‘sanity restored’. 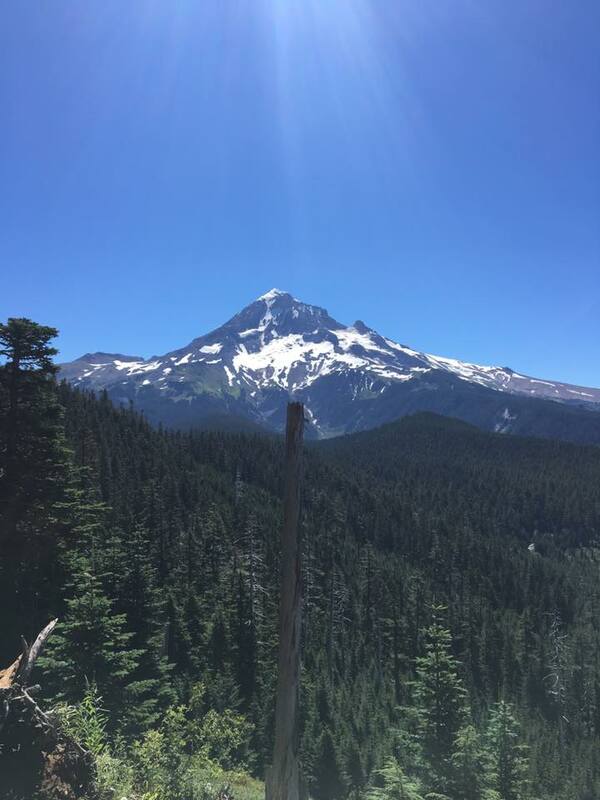 We ate our lunch yards from Bald Mountain’s summit, where the only imprint of civilization was the few stone remnants of a 1930s fire lookout, facing the huge hanging glaciers on Mount Hood. The scale of the view was vast and silencing; our meal over, we sat and breathed and just looked on, a part of the landscape ourselves. Having hiked in Europe, the British Isles, and Ireland, I’ve long been familiar with the restorative powers of the outdoors – whether in a blizzard on Ben Nevis, crossing a sun-bleached glacier on the Monte Rosa, or on sunny moorland in the Wicklow Mountains. It was, and it still is. The wild places – to borrow a term from Robert Mcfarlane – remain repositories of peace, beauty, and natural communion. But they’re also places of hope – regions that remind us that – despite everything else that confronts us in 2017 – we’re still part of something awe-inspiring. For now, at least. Winning is easy. If you’re Mo Farah, at least. The British runner made his final sprint to the finish in the men’s 10,000m at the World Athletics Championships look like a breeze. 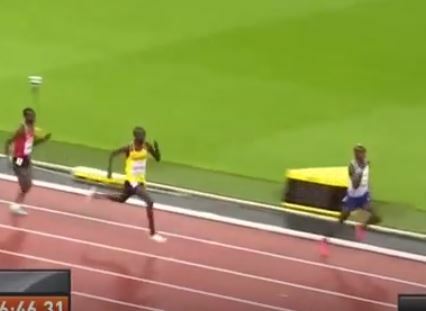 He rounded the final corner and then – boom – after 26 minutes of running he easily dipped into his reserves and pulled out a final 200 meters that left the field scrambling in his wake. That’s how it looked. In reality I’m sure it was likely anything but easy, despite’s the Briton’s ability to cheerily push through fatigue and pain. 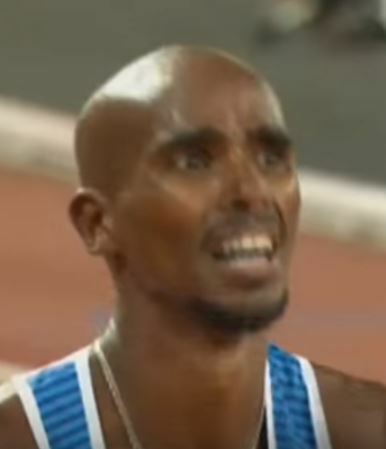 While the final 20 seconds of Farah’s greatest race – or the one that cemented his standing at Britain’s greatest long distance runner – were the ones celebrated, repeated, and reported on worldwide, they weren’t the ones that won him gold. As the most amateur of amateur runners (yours truly) knows, the end is often the easy – or easier – bit. Getting there is the hard part – the fifth and sixth kilometers are often where the race is run or lost, whether you’re competing in front of millions of viewers, or just hauling yourself around north Portland on a Saturday morning. Farah’s greatness lies in these fifth and six kilometers, as he displayed in London yesterday. Under siege from younger competitors, who appeared to be running as a team against him, he was forced to step up the pace. Watching on, at times it seemed that the British runner was dropping back, only for him to rally again and again, responding to the faster pace, battling back. Such running goes far beyond physical form or fitness – it demands deep mental reserves, an ability to remain focused and work to a plan, when every external (and most internal) factor wants to pull you off course. If there’s a lesson to be read from the ability and greatness of Mo Farah, it lies here. Yes, preparation is vital; yes, performance is critical; of course, your finish is often key, but most races are won in the grinding, unexciting, off-camera, mid-sections. “Il faut d’abord durer” (“first, one must endure”) was a motto adapted – in very different circumstances – by a well-known American writer. It came to my mind in the final moments of yesterday’s race. If, like Farah, you can bounce back often enough the challenges – eventually – will dry up. And they did, in those final 200 meters, when Mo Farah kicked into his sprint, the crowd roared, the flashbulbs popped, and history was made. But that was the easy part.